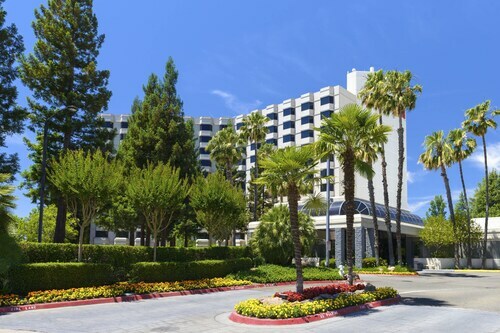 Expedia has some fantastic Sacramento package deals Combining your bookings is one of the best ways to save time and money — and get your adventure off to a flying start. As much as C$590* can be saved when you secure a package deal on Expedia. With more than 400 partner airlines and 321,000 properties worldwide, our exhaustive database can get you to where you want to be. Don't worry about changing your family's vacation plans, as we don't charge additional cancellation fees for almost all of our reservations. 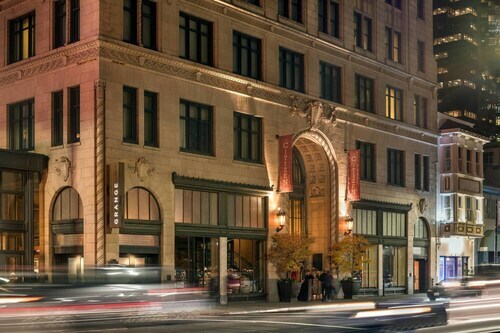 We've got all the latest sightseeing tips for your trip to Sacramento. Grab your organizer and get ready to start padding out your itinerary. 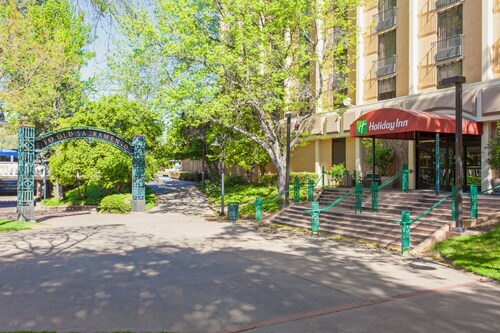 Home to tourist attractions such as the Sacramento Zoo and the Crocker Art Museum, you'll never have a dull moment in this spirited metropolis. When you're done looking around those, squeeze in a bit more sightseeing at California State Capitol and the California State Railroad Museum. Many weighty issues have been thrashed out at Historic Governor's Mansion. Experience it from afar or up close on a guided tour. Adventurers in this destination have an abundance of choice. Eager to alleviate the stress of your hectic life? Breathe in the fresh air as you take off on an adventure through Fort Sutter State Historical Park. Still have some time on your hands? Whether they're made from stone, concrete or wood, bridges are some of the world's most important architectural wonders. Appreciate the design of Tower Bridge and learn about its rich and interesting history. When we look back on our travels, we remember experiences rather than our fancy hotel room and the view of the pool. Ready to start creating some new vacation memories? Have you ever heard of an Operation City Quest of Sacramento, CA? Consider purchasing one. This popular activity deserves to be at the top of your to-do list. If you'd rather take a look at a comprehensive list of activities, head to the Sacramento things to do page. Seeking out luxury getaways or cheap vacations in the state capital? If so, you'll need to find somewhere to spend the night. With 155 properties in Sacramento, it's unlikely you'll have to look too hard! When you're feeling jet lagged, there's nothing more pleasant than kicking back in a swanky room and treating yourself to some room service. See what yummy treats await you at the Inn & Spa at Parkside (2116 6th Street) or the Amber House Inn of Midtown (1315 22nd Street). 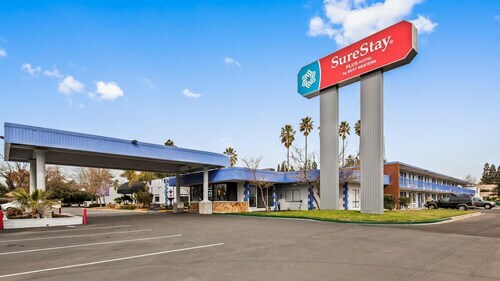 If traveling on a budget's more to your liking, you (and your piggy bank) might prefer the Days Inn Sacramento Downtown (228 Jibboom Street), or the Sky Riders Motel (6100 Freeport Blvd). Nobody likes wasting time at the airport. But it's a small price to pay when you remember the vacation waiting on the other side! Positioned 9 miles (14 km) northwest of Sacramento, Sacramento International Airport (SMF) is the most convenient terminal. A Californian icon and a feat of engineering, this is Sacramento’s most photographed bridge. Its golden frame is especially striking when lit up at night. As one of the country’s most striking state capitol grounds, this inner-city haven is home to the Capitol Museum, special plants and trees and significant memorials. Learn about the Donner Party and the California Gold Rush through reenactments and a restored fort in this open-air museum. A humble warehouse in Sacramento hosts some of the state’s finest vintage automobiles and motorcycles. View over 150 vehicles on display for old-time family fun. Wonderful stained-glass windows, an impressive organ and religious artworks feature in this towering Roman Catholic house of worship in the heart of Sacramento. Lovely view over the river at night. Helpful, friendly staff. The gal that checked me in was very nice, and very detailed as the layout of the rooms. I felt well taken cared of. Very decent stay in a good price. Its a hidden gem. Proximity to Old Sacramento District and Blessed Sacrament Cathedral. I loved the idea of staying at a historic hotel, but the rooms in this hotel definitely look dated. The staff at the registration desk and throughout the hotel were the best part of staying here. Everyone was courteous and helped us navigate our first visit to Sacramento.